Our Focus Is On Safety. Family. Fun. 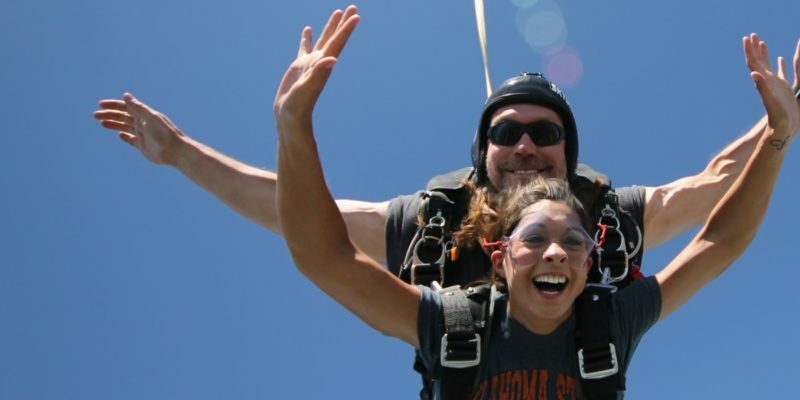 Welcome to Oklahoma Skydiving Center – the #1 choice for skydiving OKC! 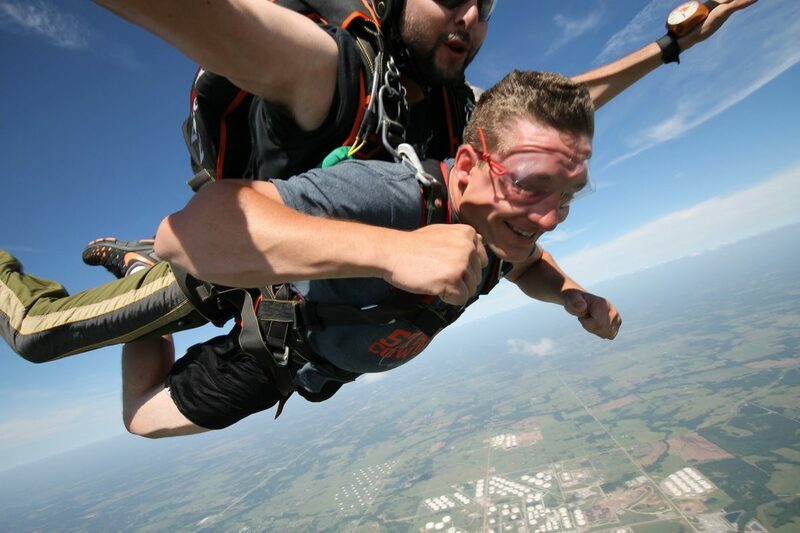 Conveniently located between Tulsa and Oklahoma City, we’ve been in operation for nearly 50 years and are the state’s largest and most experienced dropzone. 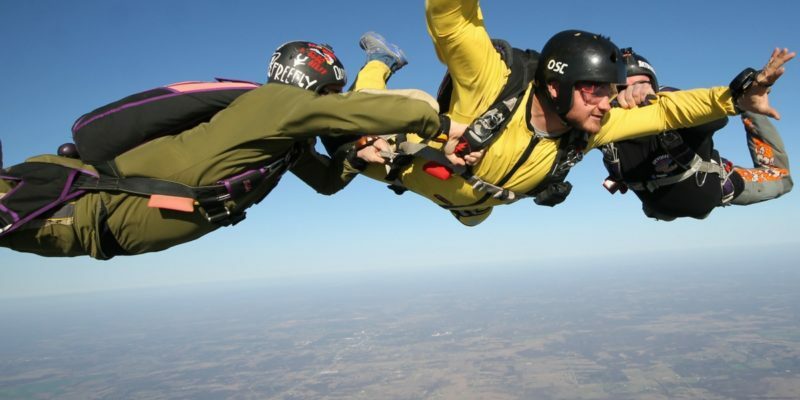 Based at the Cushing Airport, Oklahoma Skydiving Center is a full-service skydiving center welcoming skydivers of all skill levels from first-time tandem jumpers to AFF training students to experienced sport jumpers. 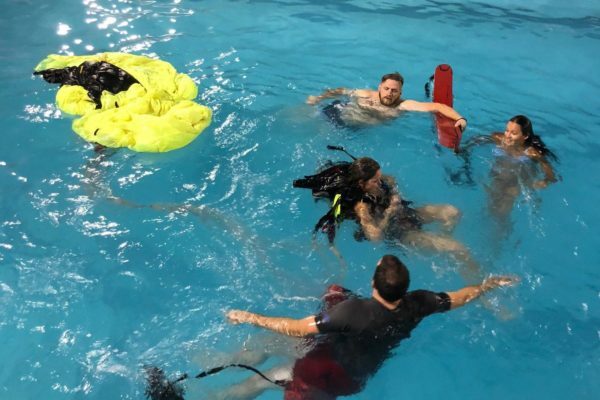 Our USPA rated instructors and friendly staff are dedicated to providing a safe, student-friendly environment. 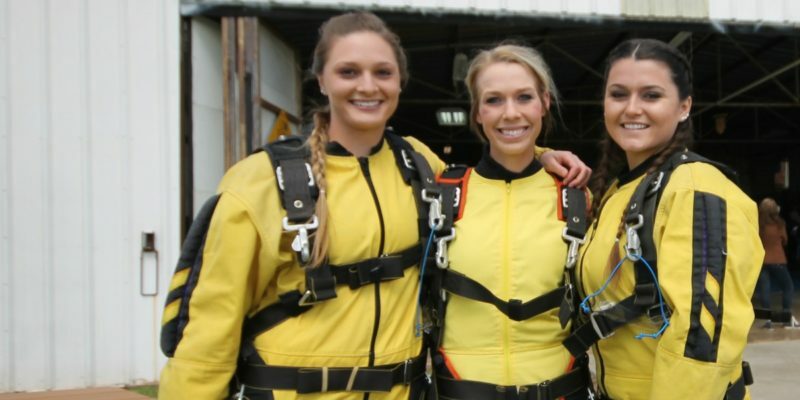 We are passionate about the sport and want you to have the experience of a lifetime when you jump with us! 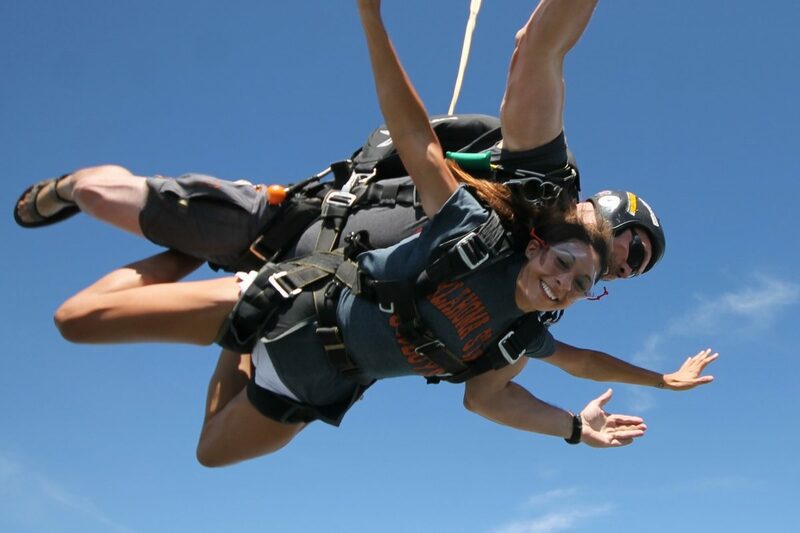 Come and see what all the talk is about! 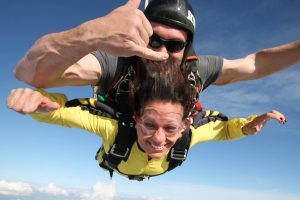 If you have a desire to push your limits while learning something new, we have the perfect adrenaline-filled adventure for you. 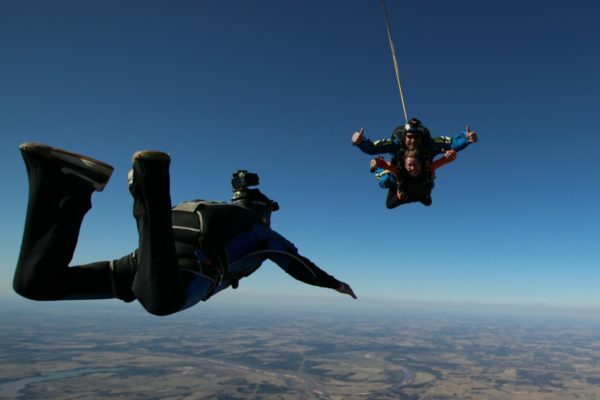 Skydiving is the ultimate rush and you may discover your new hobby or full-time sport with us! 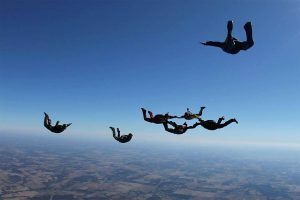 All instructors at Oklahoma Skydive are United States Parachute Association (USPA) certified and highly experienced in the sport. 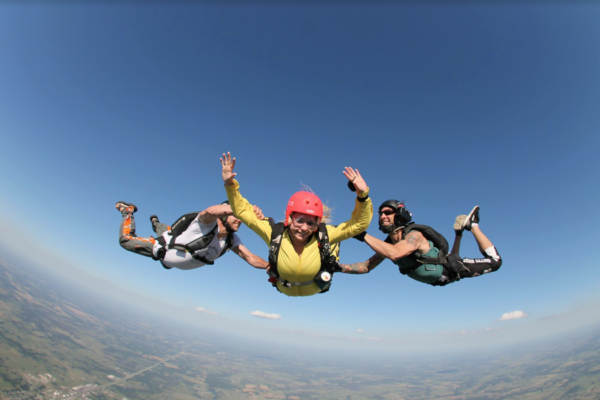 Located between Tulsa and Oklahoma City we are rated the best place to skydive in Oklahoma. 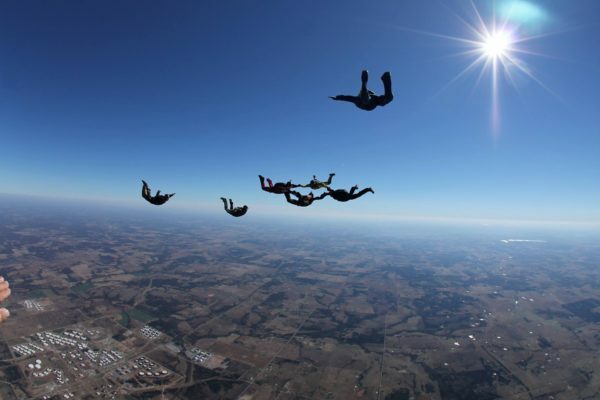 With nearly fifty years experience and well over 350,000 jumps, we deliver a life-changing experience. 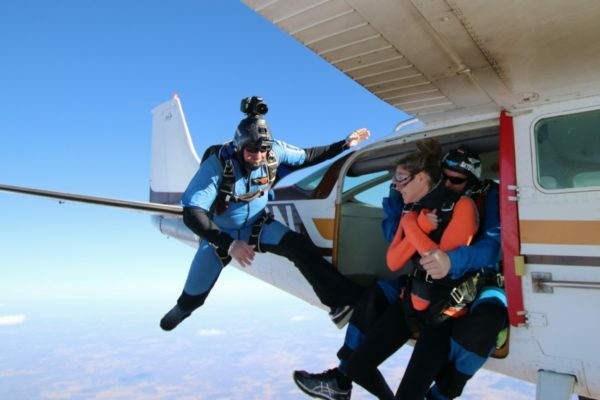 with a beautiful family-friendly facility. Save up to this much on groups. 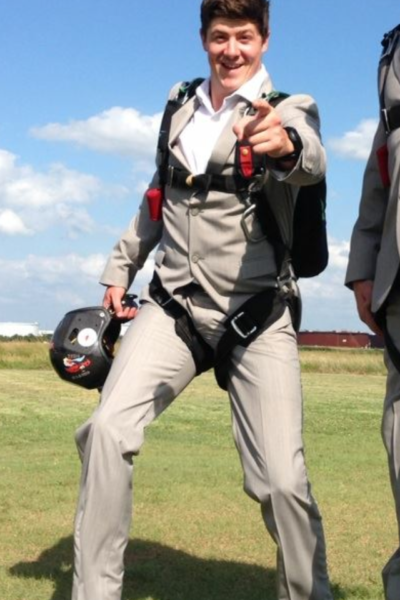 Just completed my first AFF course and I must say it was a tremendous experience! 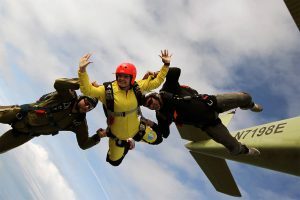 You will find that the most difficult part of the whole process is making the decision to just do it, but with the help of the confident and professional staff, that decision becomes a whole lot easier. 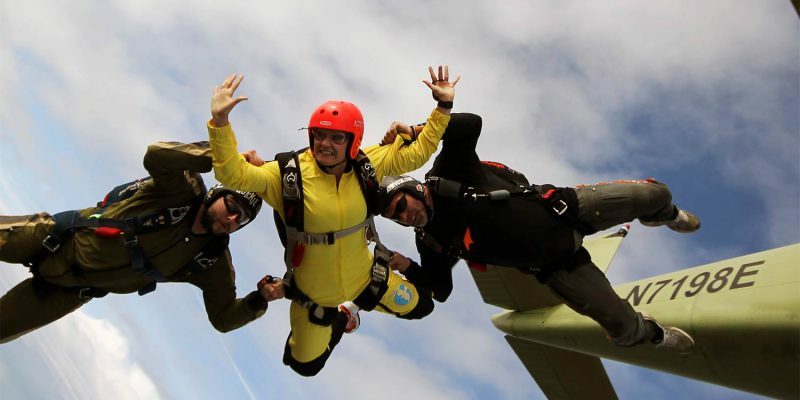 Almost 2000 skydives,100 BASE jumps, USPA Tandem Instructor, Coach and first jump ground school instructor. 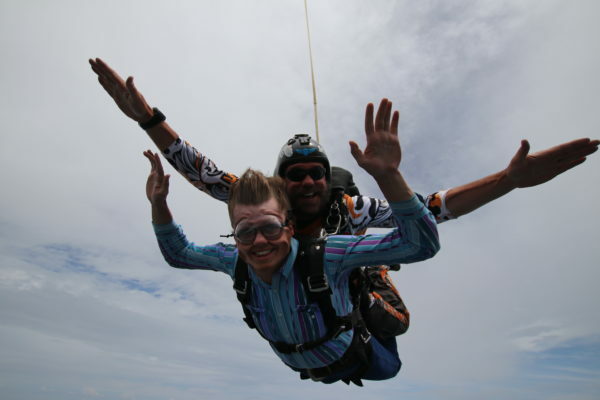 Grant has been skydiving since 2007.